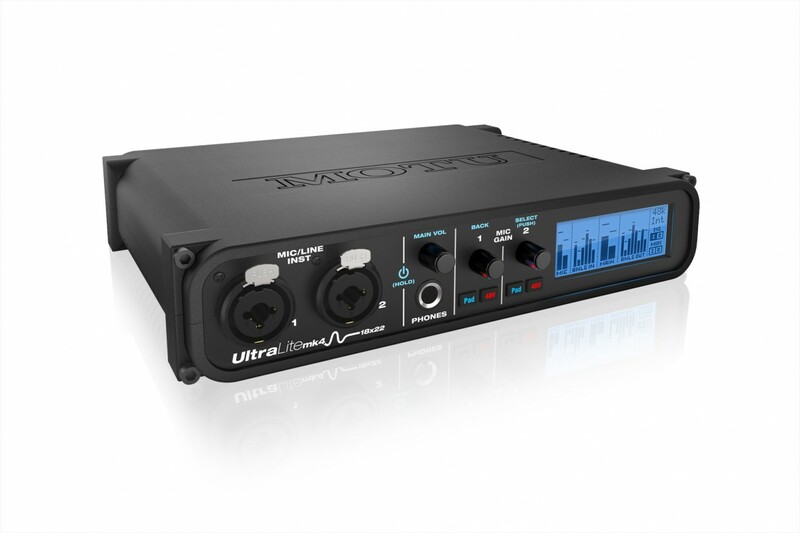 The latest in MOTU's popular, award-winning UltraLite interface series, the UltraLite-mk4 is an 18-input, 22-output audio interface with DSP mixing, effects processing and best-in-class analog audio quality for on-the-go mobile audio recording. 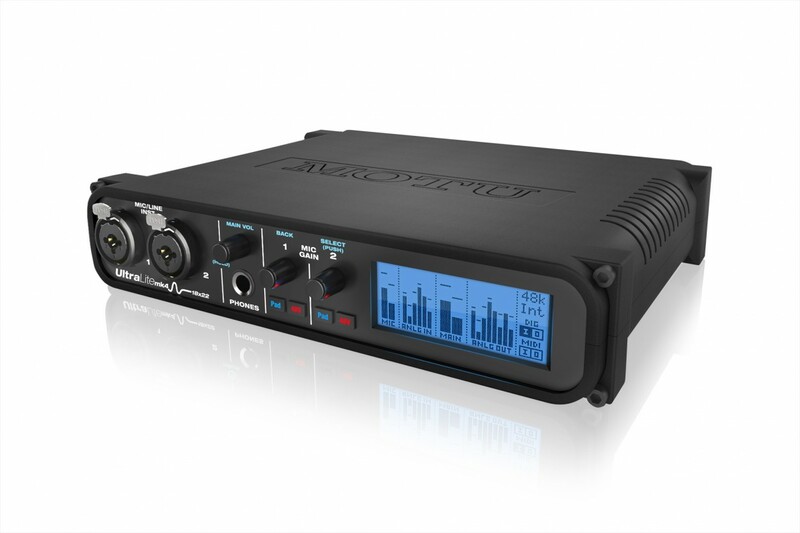 Connect to a computer through hi-speed USB 2.0 with new, optimized ultra-low latency drivers (audio class compliant, compatible with USB 3.0 and iOS) and record at sample rates up to 192 kHz with two combo XLR/TRS mic/guitar inputs, six line-level analog inputs, ten analog outputs, 8-channel optical I/O (with support for 2-channel TOSLink), RCA S/PDIF digital I/O, MIDI I/O and a headphone output. Powerful DSP delivers large console style mixing with 48 channels, 12 stereo busses, and 32-bit floating point effects processing, including modeled analog EQ, vintage compression and classic reverb. Matrix routing lets you quickly patch ins to outs, or split inputs to multiple destinations. Use the UltraLite-mk4 as a stand-alone mixer and control everything wirelessly from innovative web app software running on your iPad™, iPhone™, tablet, smartphone, and laptop. From studio to stage, the UltraLite-mk4 delivers exceptional sound quality, state-of-the-art operation and rock-solid performance.